Easywillow™ contains natural active ingredients. 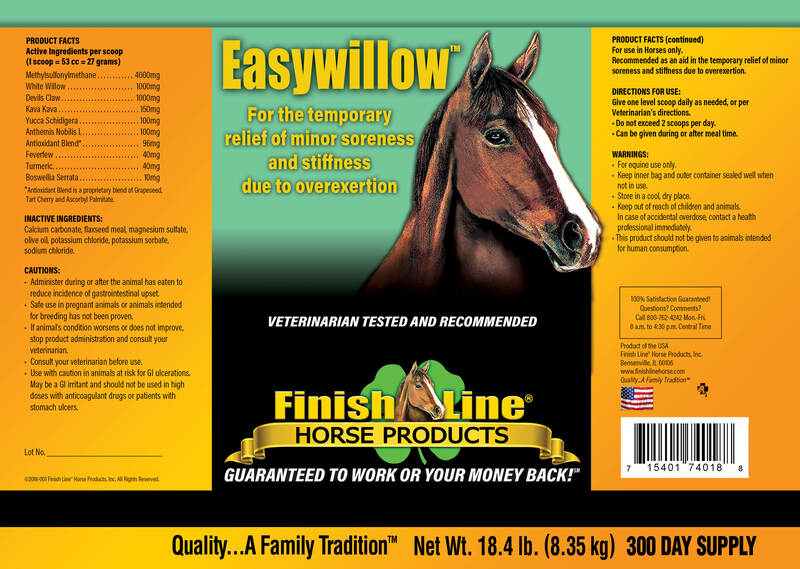 This supplement is for the temporary relief of minor soreness and stiffness due to overexertion. 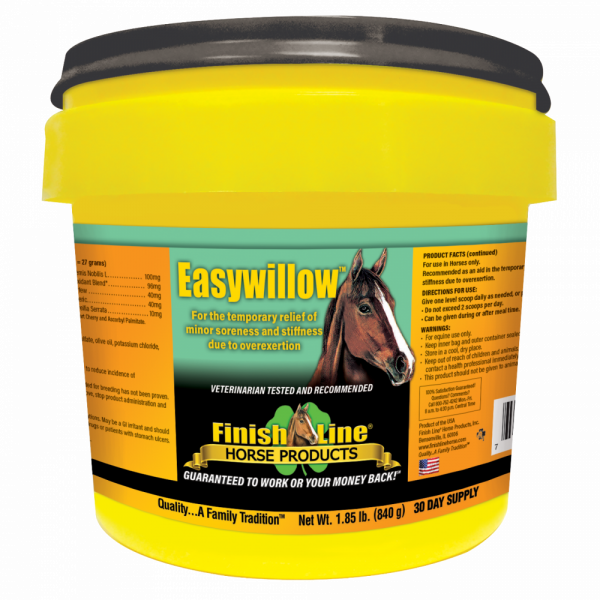 Easywillow™ is gentle on the stomach and can be given to horses over extended periods of time. White Willow contains the same salicylates originally used in aspirin and is renowned for its ability to soothe and relieve minor discomfort. Devil’s Claw is a natural anti-inflammatory and analgesic for minor discomfort. MSM is a popular anti-inflammatory ingredient. A proprietary blend of grapeseed, tart cherry and ascorbyl palmitate also contributes powerful antioxidants. 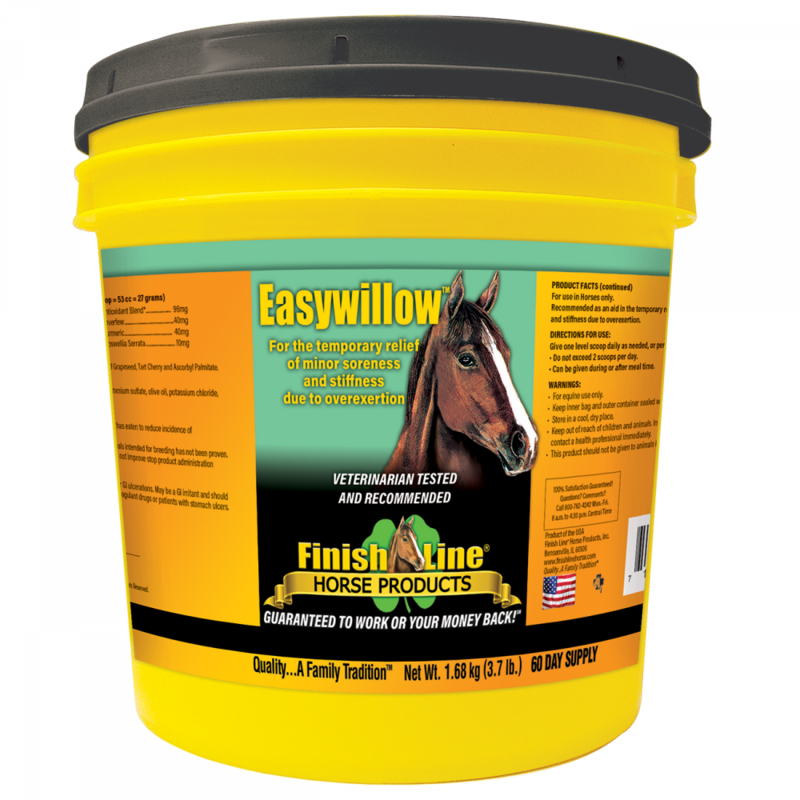 Easywillow™ works quickly and benefits increase with extended use. 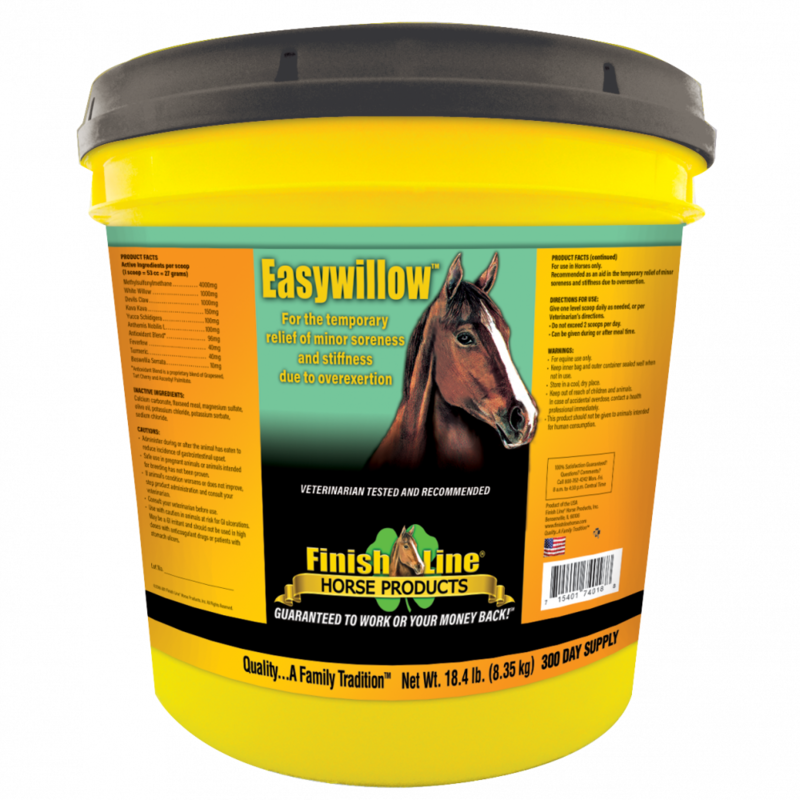 Not to be used on pregnant mares.